Thanks to a program that works to build healthier peaceful international relationships, 16 Palestinian children are now able to hear after being given cochlear implants by Israeli doctors. The Peres Center For Peace coordinated the 16 successful surgeries over the course of the last year at the Hadassah Ein Kerem Hospital. Six of the surgeries occurred last month in “marathon style” back-to-back operations. 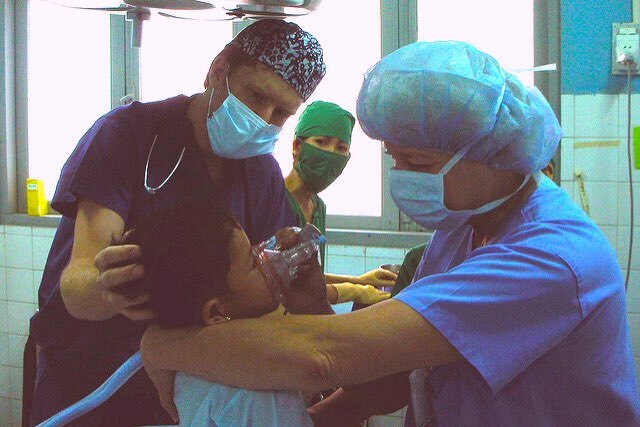 Though the surgery may be a fairly common operation in more advanced countries, it is not yet as accessible in developing countries. “This is an amazing project that gives these children the opportunity to step out of their world of silence and live their lives normally and fully,” the project’s leading surgeon Dr. Michal Kaufmann told YNet News.